Ahh-mazing Day of Service with City Year! 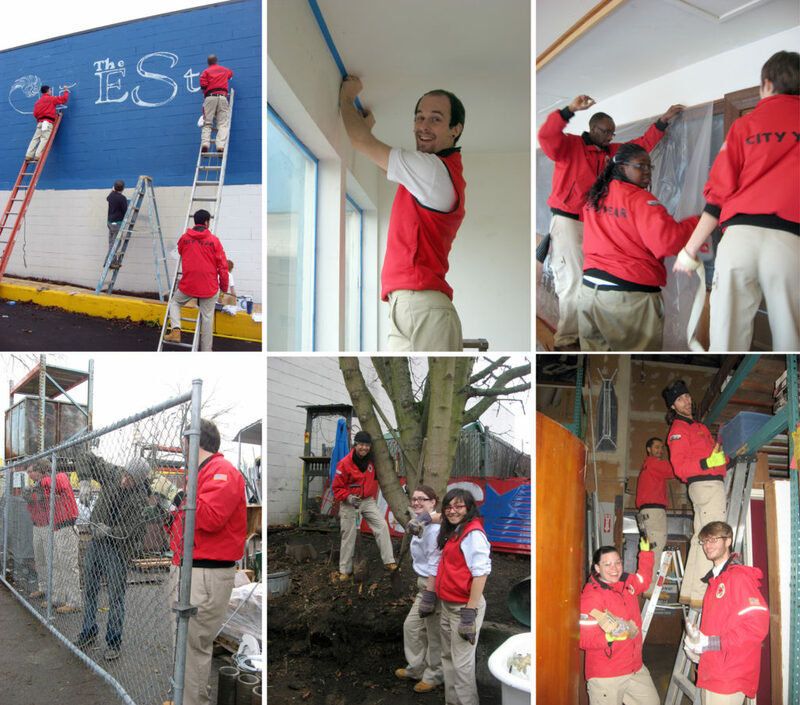 We cannot fully express our gratitude to the City Year gang that had a day of service with us here at the Seattle store Monday, December 19th! An incredibly energetic and positive group of 45 corps members took on many of our ‘wish list’ projects in the store, in the offices and in our back lot and warehouse alongside the all-hands-on-deck staff. The transformations were incredible – including: repainting our logo on our west wall, painting our office, conference room, hallway, and our soon-to-be library/education room, organizing our supplies room and workshop, laying floor and repainting our bathroom, putting down pavers in our garden area out back, rewiring our back fence, denailing lumber from recent deconstruction jobs, and pulling down and sorting all sorts of tucked away treasures from our racks (come see what was unearthed!). All of this with fairly continuous singing and dancing coming from the group, made for a fun time. We may be a little sore after all of that, but we are incredibly humbled by their energy and efforts – and incredibly happy with the results. Thanks so much, City Year for such a great present for the holidays – and for Pat’s birthday that day! And a special shout-out to Taylor Oden of City Year and Anita Smith of The RE Store for their exhaustive work coordinating these efforts!